A Tokyo court ruled Tuesday that Nissan Motor Co.'s former chairman, Carlos Ghosn, and another executive, both arrested Nov. 19, can remain in custody through Dec. 20. Their detention could continue for months more under the Japanese legal system. The court decision comes a day after Ghosn, executive Greg Kelly and Nissan Motor were charged with violating financial laws by underreporting Ghosn's pay by about 5 billion yen ($44 million) in 2011-2015. The extended detention is for investigation of additional allegations prosecutors issued Monday against Ghosn and Kelly of underreporting another 4 billion yen ($36 million) in 2016-2018. 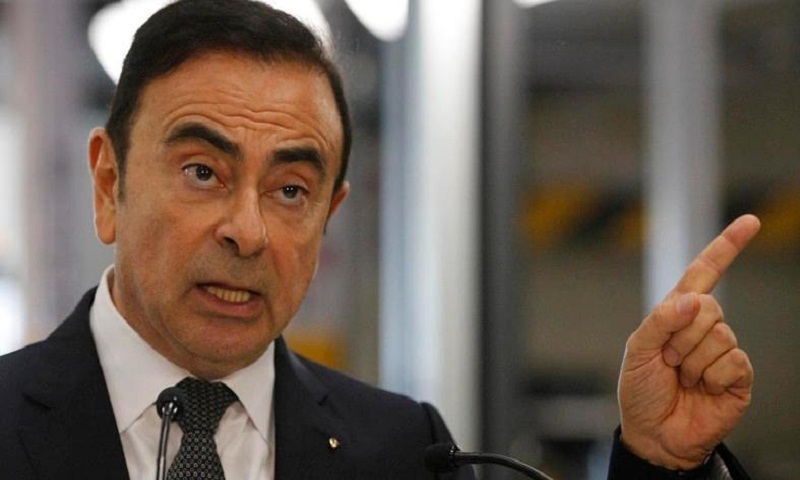 The arrest of an industry icon admired in Japan and around the world stunned many and has raised concerns over the Japanese automaker and the future of its alliance with Renault SA of France. No trial date has been set, as is routine in Japan. Prosecutors can add more allegations to extend detention, and it remains unclear when Ghosn and Kelly will be released. The prosecutors say they consider Ghosn and Kelly flight risks, who need to be detained. Ghosn's legal team has not issued an official statement, but those close to him have said he is asserting innocence. The office of Motonari Ohtsuru, one of the lawyers, declined to comment, saying he was not there. The maximum penalty for violating Japan's financial laws is 10 years in prison, a 10 million yen ($89,000) fine, or both. The conviction rate in Japan is 99 percent. Nissan has said that an internal investigation found three types of misconduct: underreporting income to financial authorities, using investment funds for personal gain and illicit use of company expenses. Nissan, as a legal entity, was also charged Monday. Nissan is not under supervision or being monitored, although it is cooperating with the prosecutors' investigation, according to company spokesman Nicholas Maxfield. Nissan said in a statement that it takes the indictment "extremely seriously" and promised to strengthen governance.